Kodee Busekros, Loves Park #86 wins his heat race in the Hornet class. 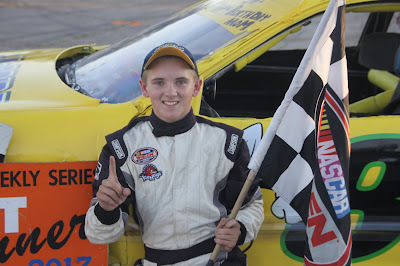 Patrick Featherston II, Byron #71 in victory lane winning the Sportsman heat race. 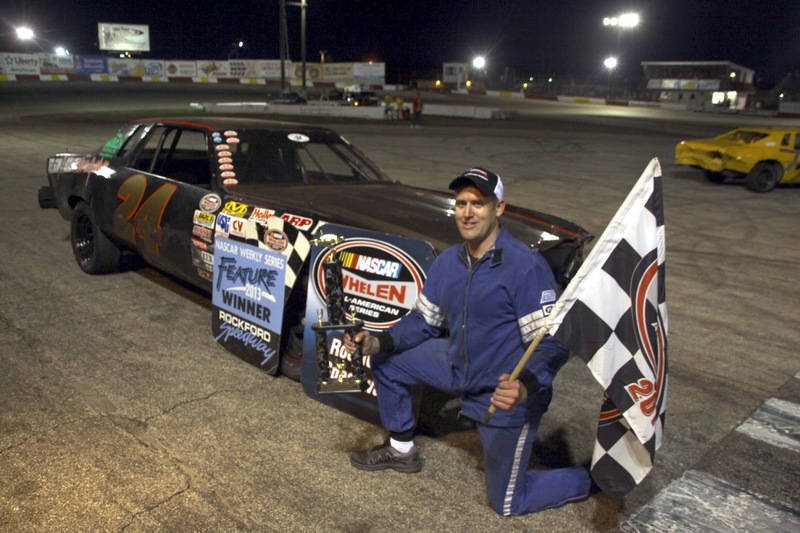 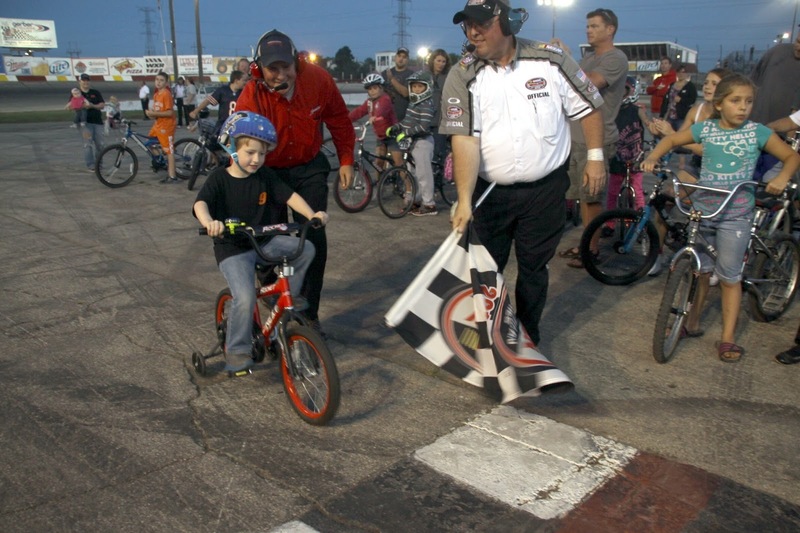 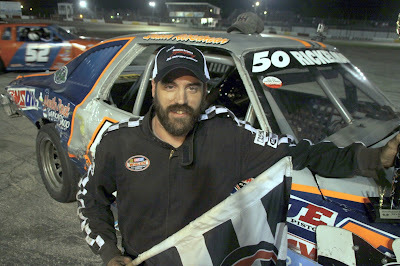 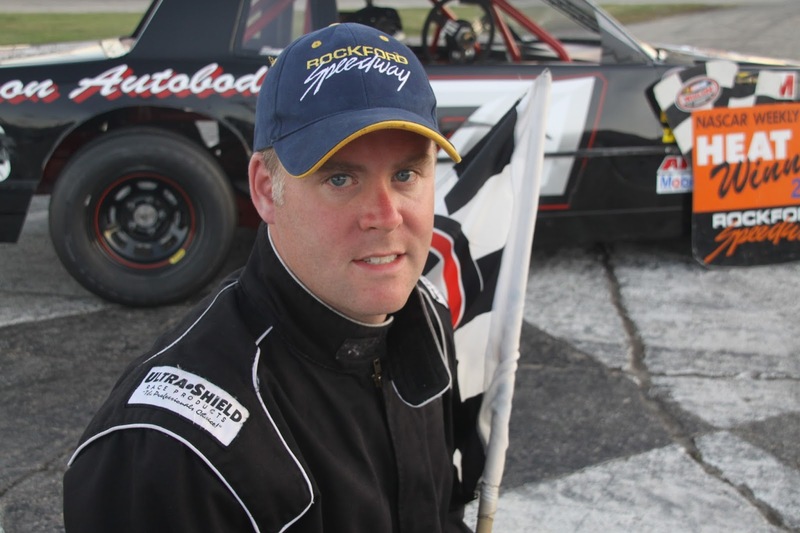 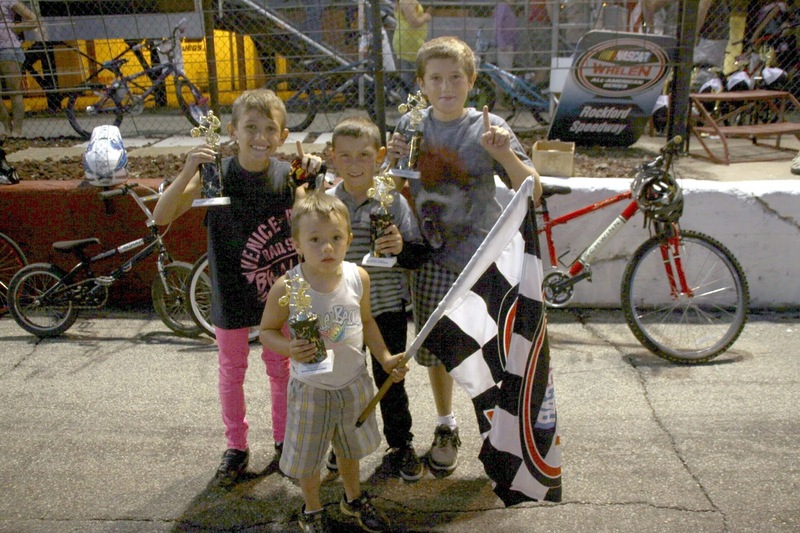 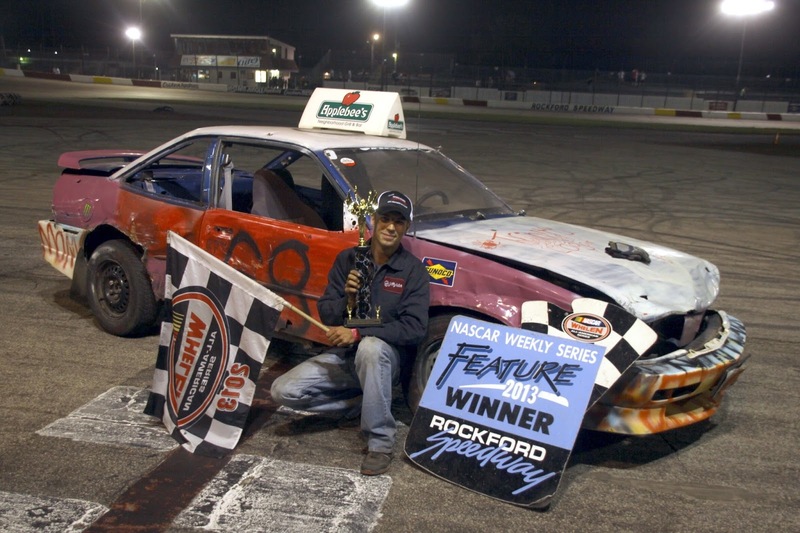 Its not whether you placed first or last; its knowing you took part as this young bike racer gets assistance from Rockford Speedway's GM Gregg McKarns to the finish line. Winner of the Nationwide Insurance KIDS BIKE RACES. 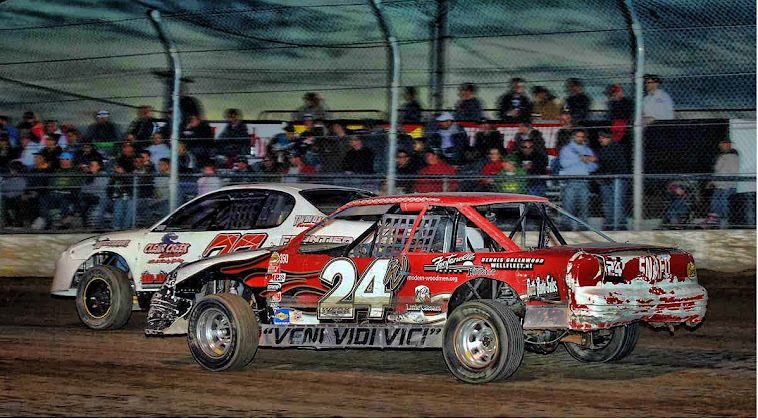 Arlyn Roush, Woodstock, IL #24 raced to a feature win in the RockStar Energy RoadRunner 20-lap main event. 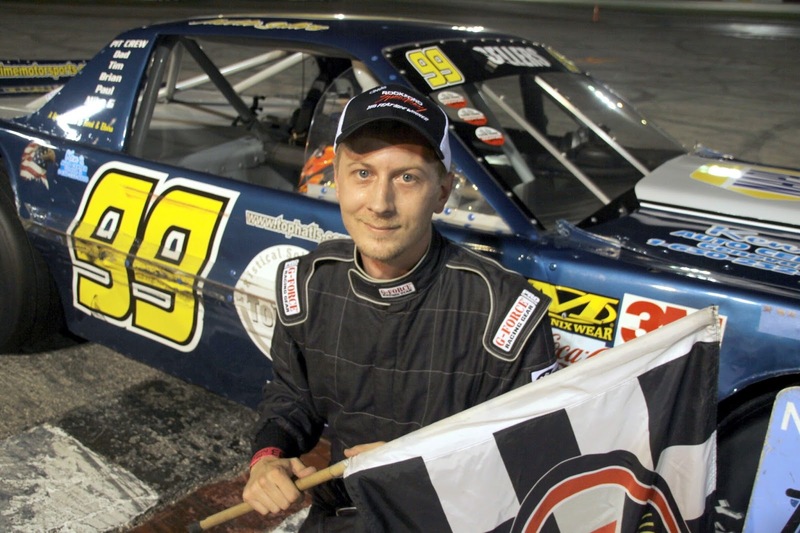 Justin Sellers, Carol Stream, IL #99 topped the field to win the Bargain Hunters Sportsman 25-lap feature. 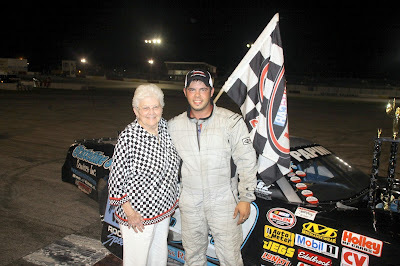 Rockford Speedways CEO Jody Deery in victory lane with Alex Papini Machesney Park, IL #39 after winning the Stanley Steemer NASCAR LATE MODEL feature. 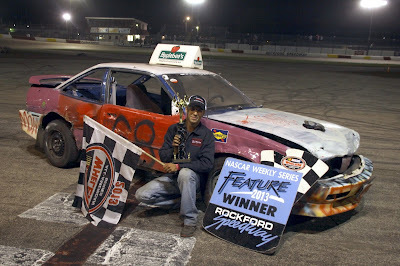 Shawn Rickelman, Rockton, IL #50 wins his first feature of the 2013 season for the RoadRunner Non-Feature Winner 15-lap feature. 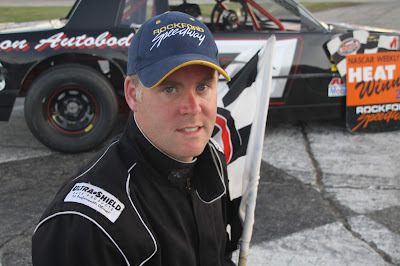 Rich Schinderling Jr, Port Charlotte, FL #68 returns home and to Rockford Speedway and wins the Hornet Swarm 15-lap feature.